I have always rated Golden Brown as being the best burger place in Tokyo, but on wednesday evening I may have met a strong contender! It was at Fellows burger stand in Omotesando. The burgers are big and juicy with wonderful toppings - I had blue cheese and glorious bacon - finished off with onion rings that are to-die-for. 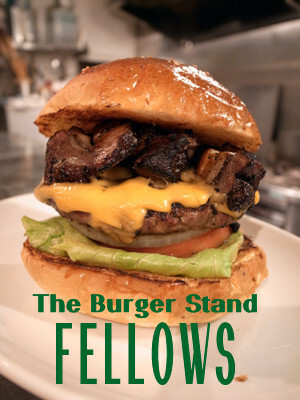 I strongly recommend that burger-lovers make a pilgrimage there.